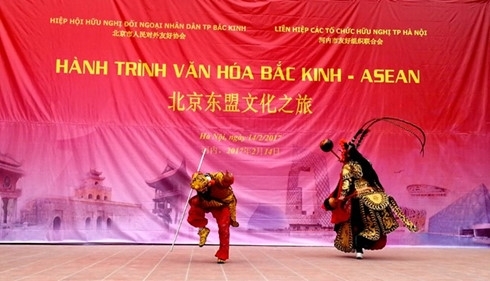 The fourth “Beijing – ASEAN culture journey” exchange programme took place in Hanoi on February 14. 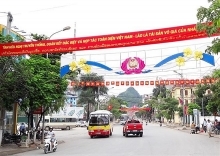 The event was jointly held by the Vietnam Union of Friendship Organisations (VUFO) and the Chinese People’s Association for Friendship with Foreign Countries (CPAFFC). It featured musical instrument performances, a photo exhibition on Beijing, and a show on intangible cultural heritage handicraft products. Yu Fan, head of the Chinese delegation to the event, said the exchange helps increase mutual understanding and cooperation between Beijing and Hanoi in the fields of culture and tourism. The programme was first held in Beijing in 2014. It has been successfully organised in Laos, Cambodia, Malaysia, Singapore, Brunei, Indonesia and Thailand over the past three years and received warm applause from local people.